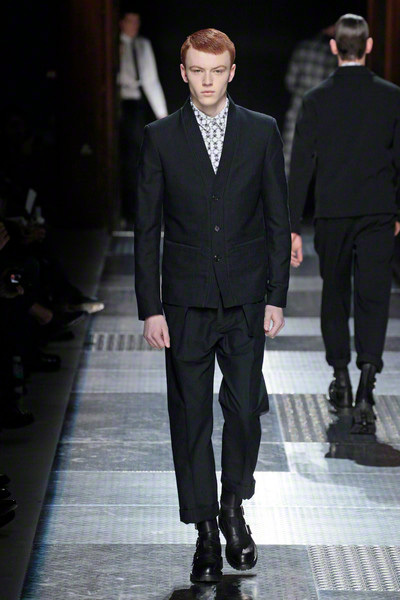 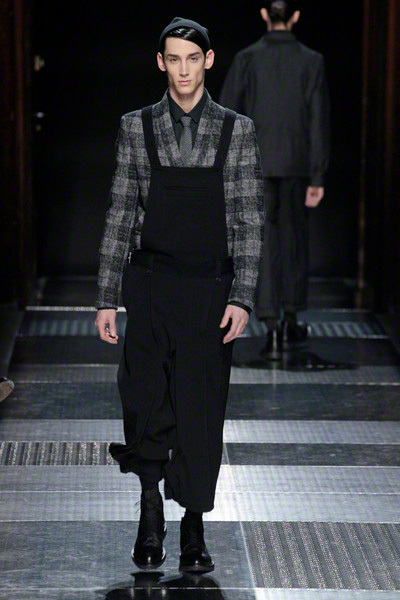 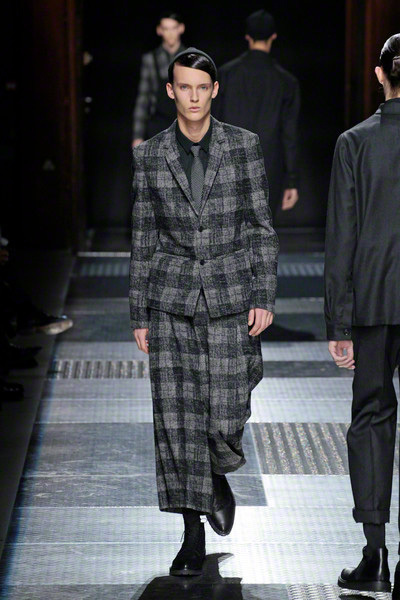 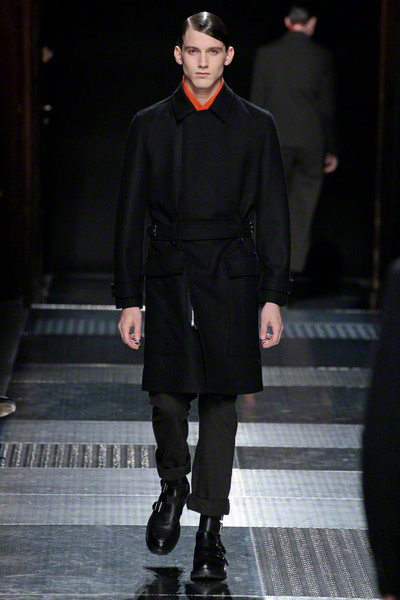 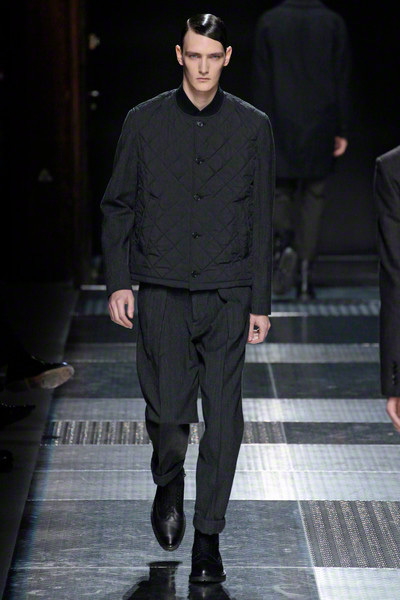 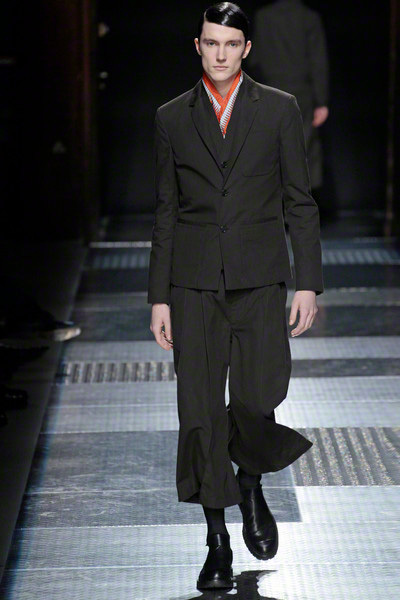 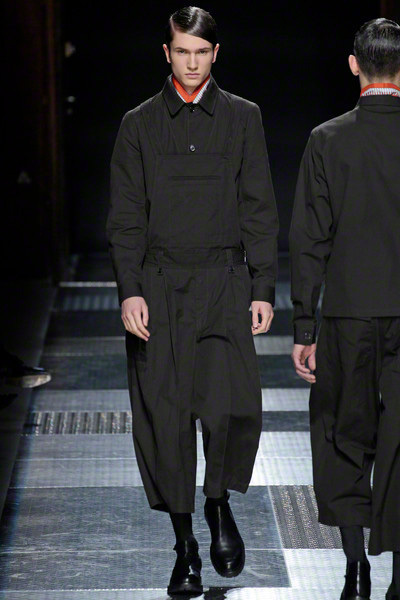 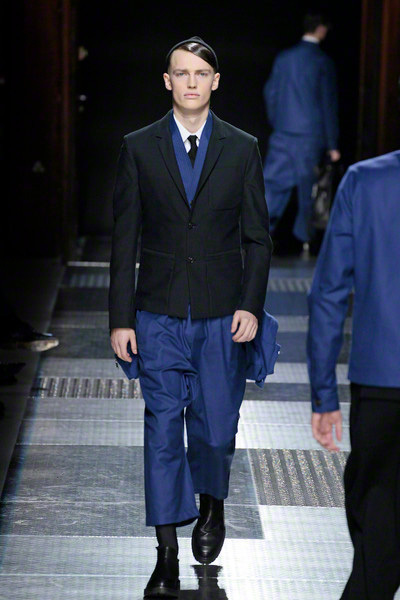 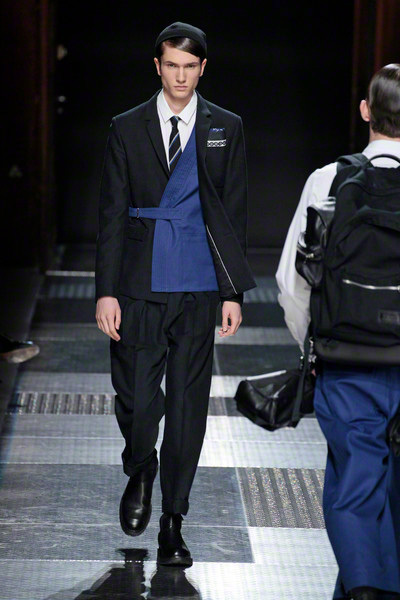 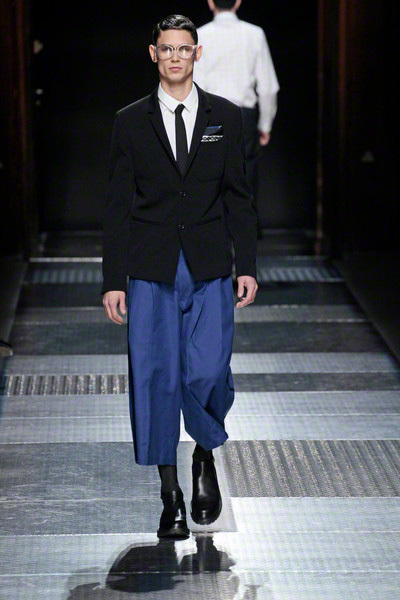 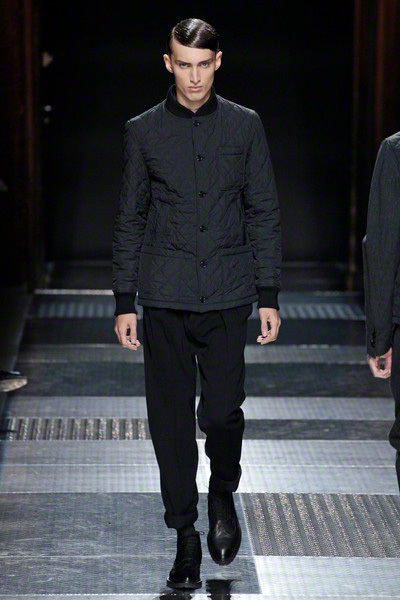 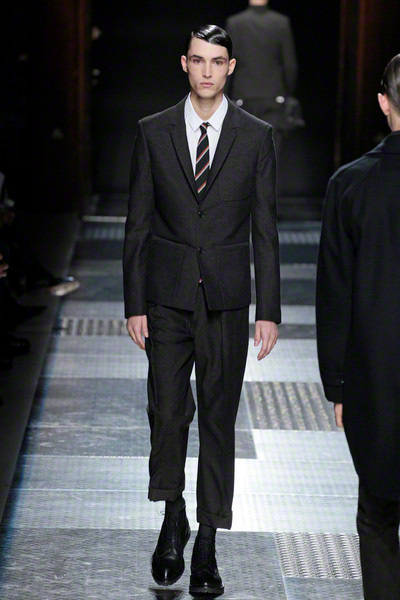 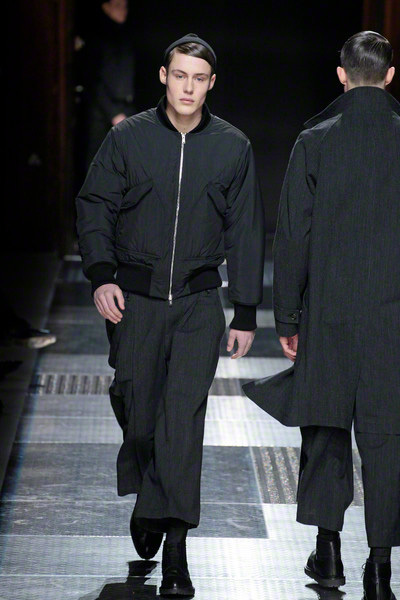 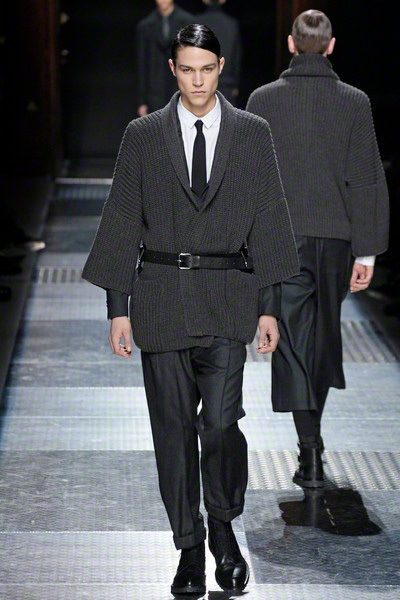 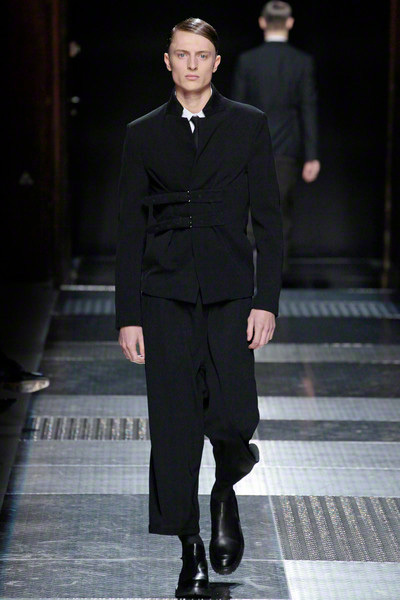 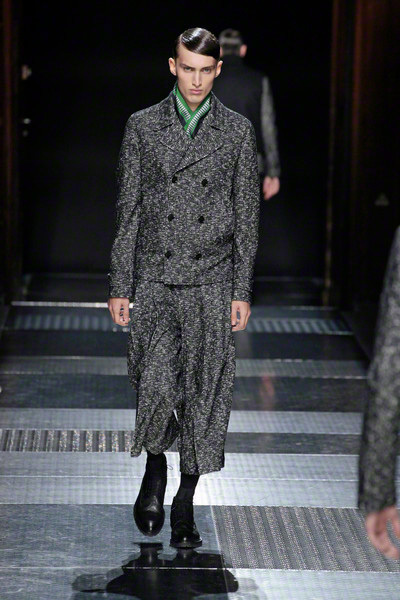 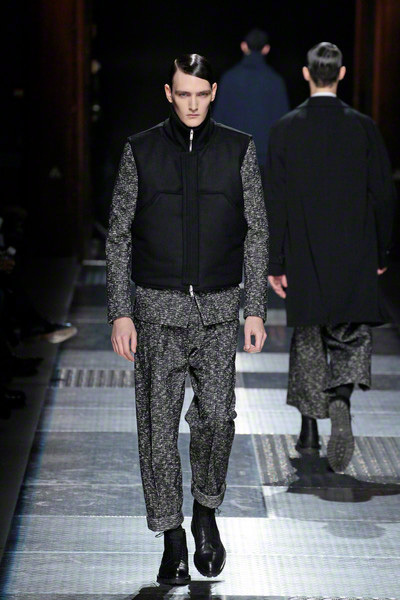 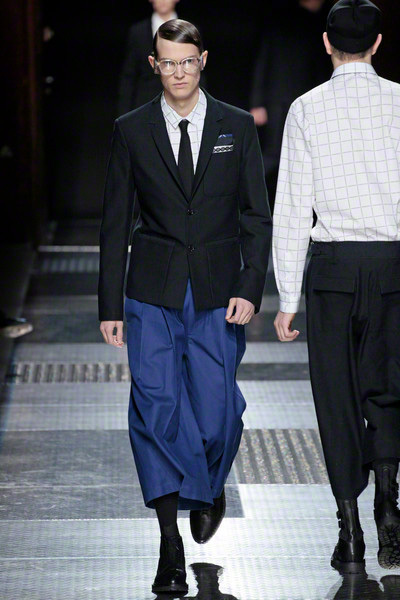 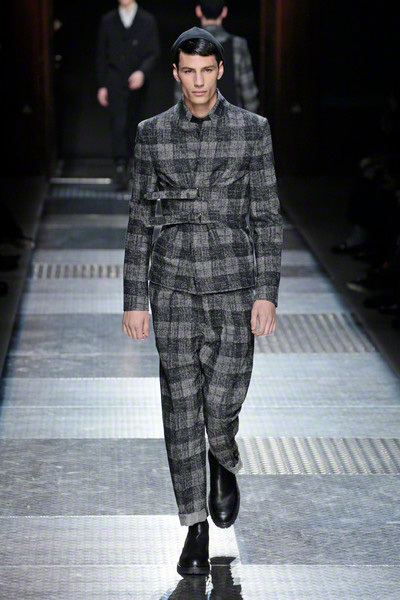 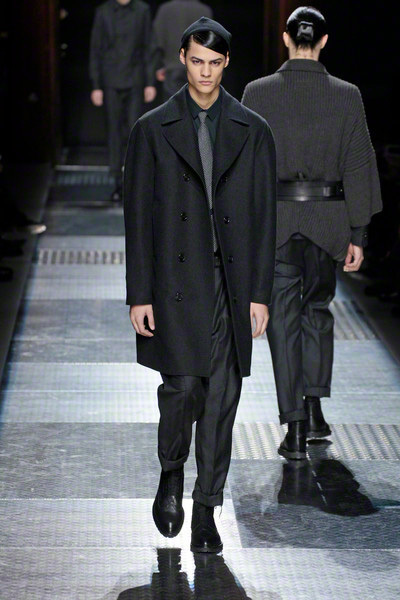 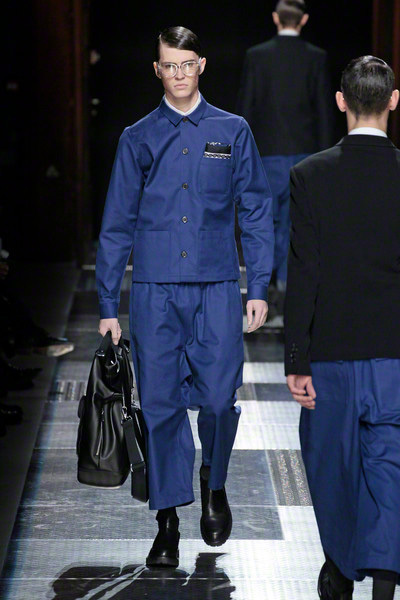 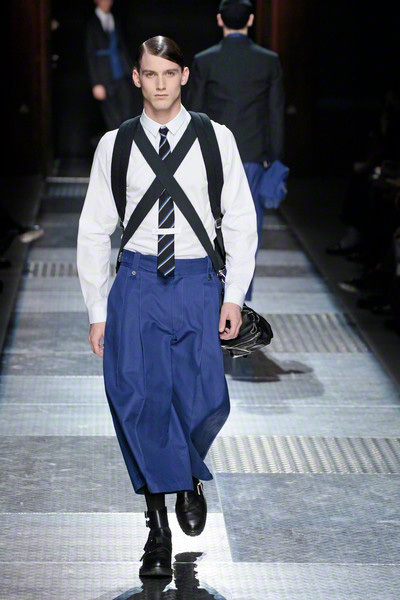 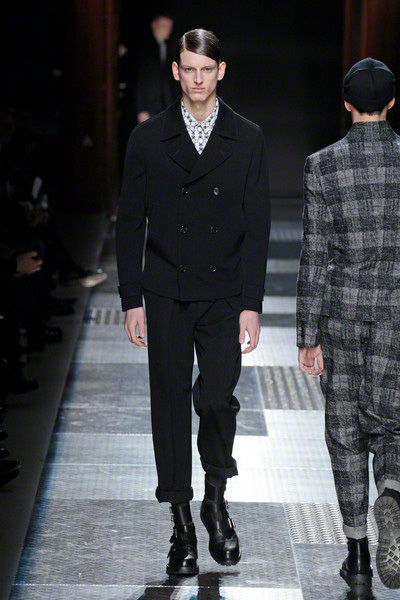 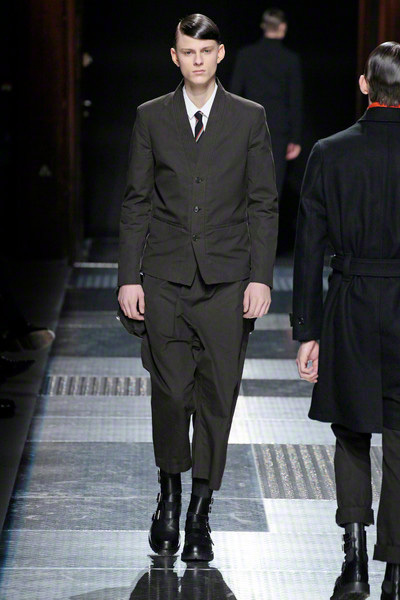 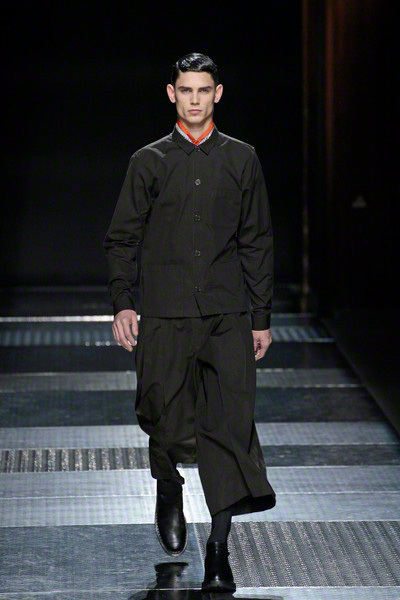 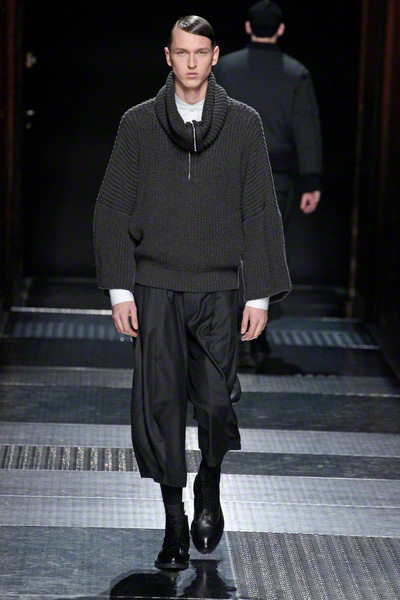 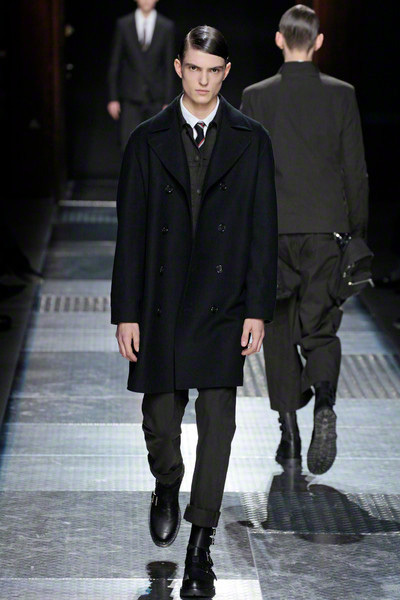 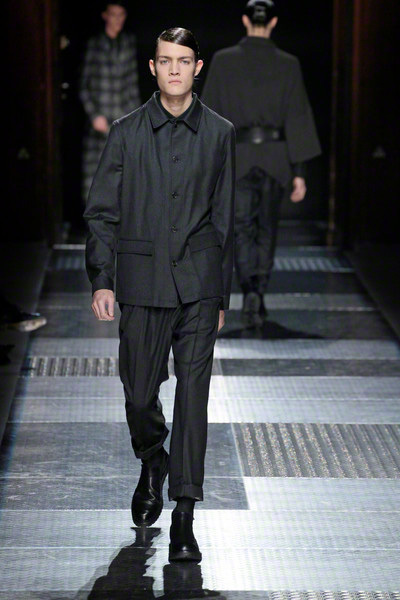 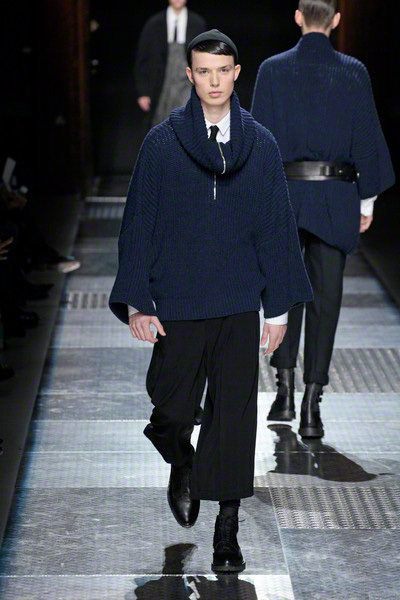 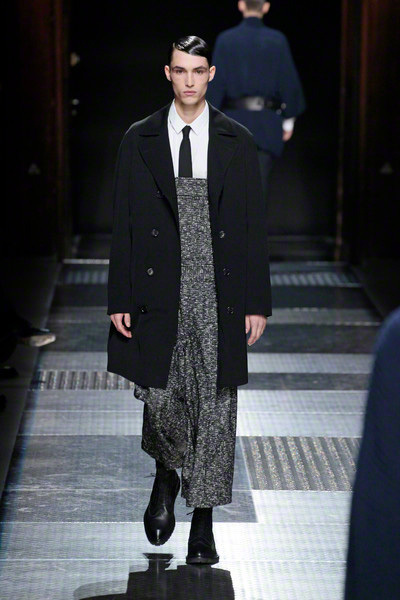 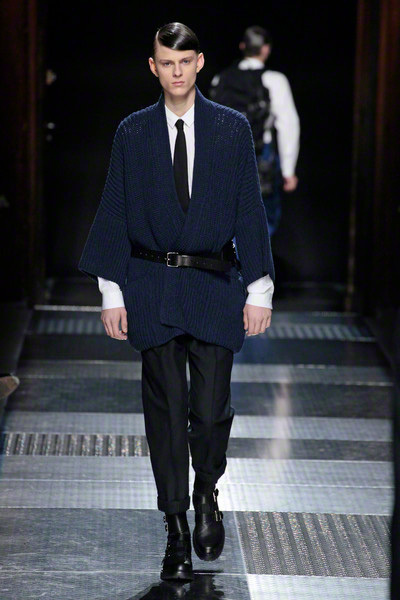 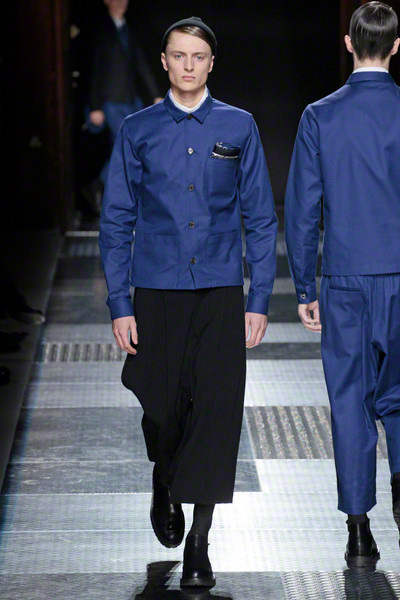 Fragile young boys sported the eastern inspired look at the Kris van Assche show. 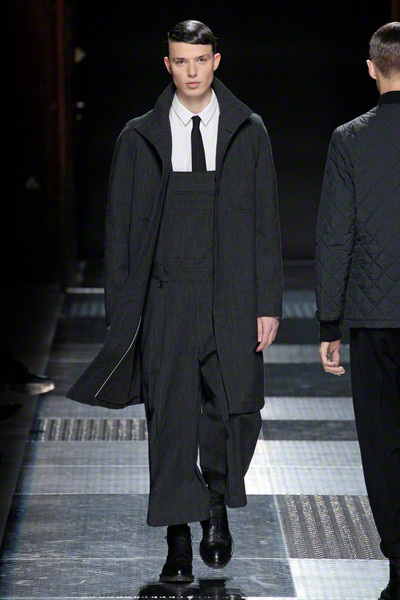 Their dungarees, belted jackets and wide legged pants giving them a slightly more noticeable figure. 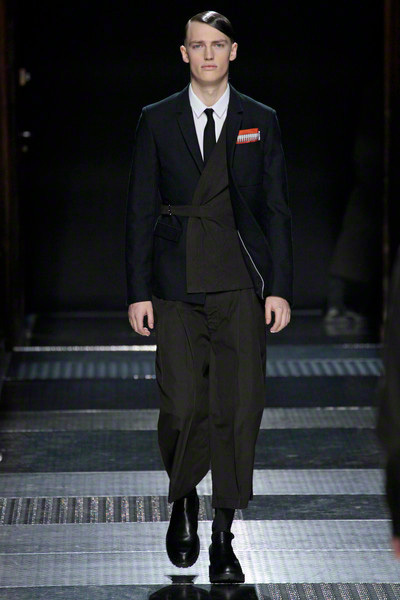 Every design was perfectly tailored and felt unique, new even. 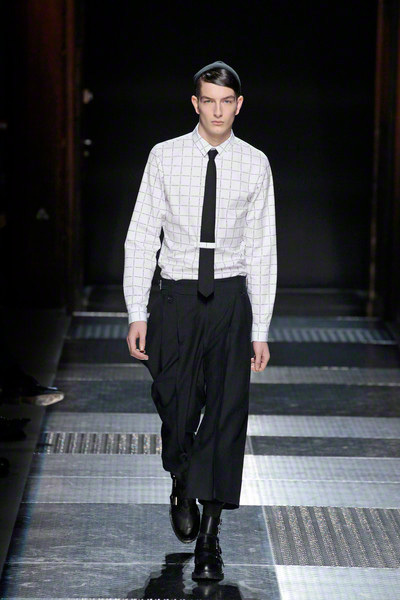 Pinstripes, speckled tweeds, checks and a pop of blue were the only variation in the all white, grey and black color palette. 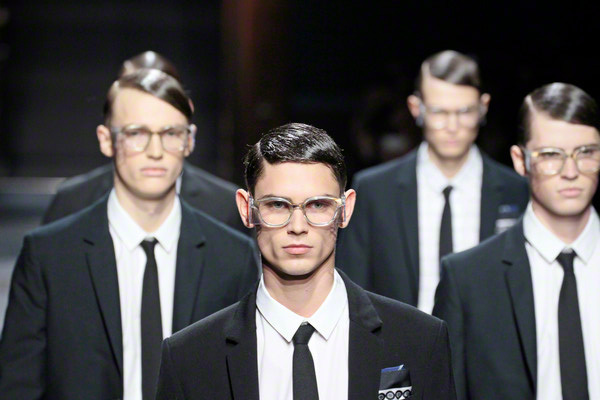 Yet we couldn’t possibly say the collection bored us. 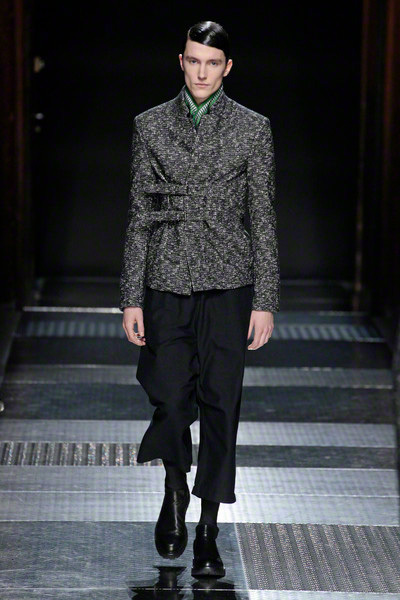 On the contrary Kris showed that with the right craftsmanship and a unique point of view even a collection existing solely of black jackets can be extremely fascinating. 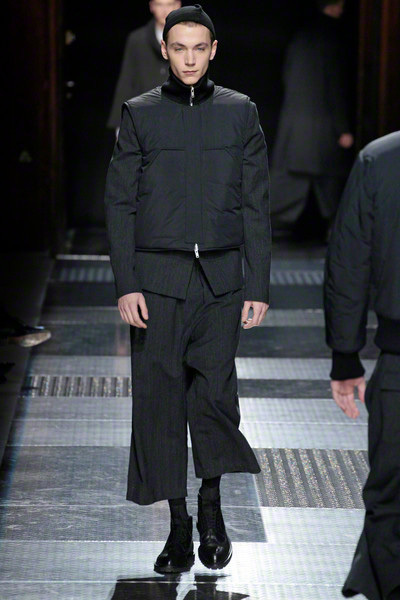 His clientèle will look so chic in the strong outerwear presented.